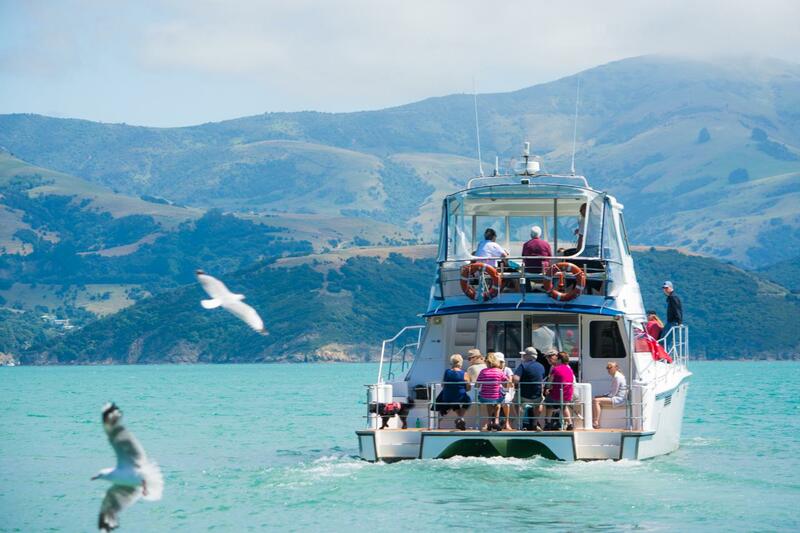 Treat your family, friends, clients or that special someone to an experience of a lifetime with an Akaroa Dolphins | Harbour Nature Cruise - Gift Voucher. We offer an exclusive and intimate 2-hour harbour nature cruise on our luxurious catamaran. We accommodate a small number of guests so our passengers are able to enjoy a more personal cruise experience around the spectacular seascape including sea caves, high cliffs and volcanic rock formations. Akaroa Harbour is home to the smallest and rarest dolphins in the world, the Hector’s dolphin. A cruise around Akaroa Harbour is the perfect way to view these amazing creatures, along with fascinating birdlife, New Zealand fur seals and penguins in their natural habitat. Our expert crew are well trained in spotting these animals, including our on-board dolphin spotting dogs who can hear underwater sonar activity. We are 100% locally owned and operated. Our family history dates back to 1838, providing a personal insight into the region. A complimentary glass of award-winning wine, beer or non-alcoholic drink, as well as fresh home baking, are also included in the cruise price.